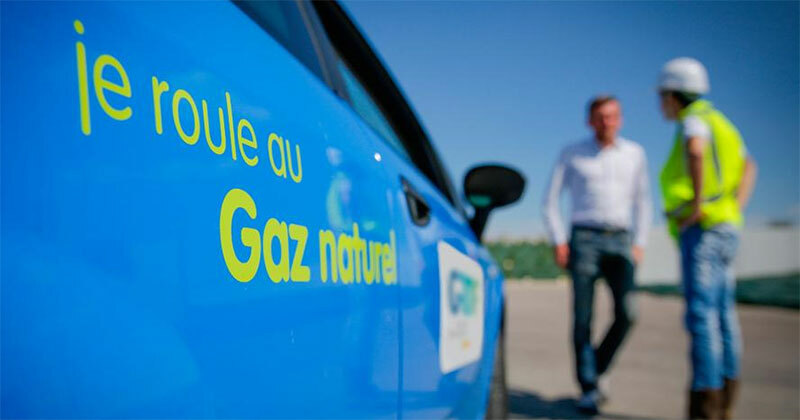 In January 2018, ECAM Lyon and the GRDF Group, leader of gas distribution in France, signed a skill-based sponsorship agreement. This collaborative partnership allows ECAM Lyon to value its expertise and GRDF to reaffirm its involvement in several societal projects of general interest. This agreement follows numerous collaborations between the two institutions since many years. For 2 years, it will allow the School to benefit from the expertise of Alain Gojon, former director of GRDF Lyon Métropole, to reinforce its links with companies and promote innovation in strategic fields for the future. By 2030, 30% of the gas distributed in France will be from renewable gas (biomethane) – and a large majority by 2050 – which is a promising indicator in terms of energy independence and job creation for the French industry! Those energy challenges are at the heart of the actions led by the competitive cluster Tenerrdis whose purpose is to reinforce the production of renewable energies and their transformation in other energy vectors (electricity, gas, heating, hydrogen) and to spread their use in the construction and transport field. Tenerrdis has a dynamic network of more than 230 companies (CNR, Dalkia, EDF, Engie, Schneider Electric, Michelin, Stäubli, GE Renewable Energy…). The skill-based sponsorship signed between GRDF and ECAM Lyon, will enhance the exchanges between the School and members of the Tenerrdis network, particularly through experts’ input in the different engineering programs of ECAM Lyon. For over a century, ECAM engineers have been appreciated profiles by companies. ECAM Lyon is training each year around thirty engineers specialised in Energy (energy efficiency and production management). Those students are realising their three-year programme in work and training. By promoting this program, the skill-based sponsorship GRDF will be able to enhance the integration of graduates and of engineering students in the companies of the Tenerrdis Cluster. Other than the quality of its programs, ECAM Lyon offers a wide range of expertise in various fields of energy, materials or IT that will be enhanced by this partnership. We can especially mention the expertise of the School regarding industrial cybersecurity, a major preoccupation for companies, that will benefit from the support of Alain Gojon, who is also a representative of Tenerrdis in the competitive cluster “Factory of the future” of the Region.